Who’s gonna let a little snow stop them from manning the pit? Not this guy! 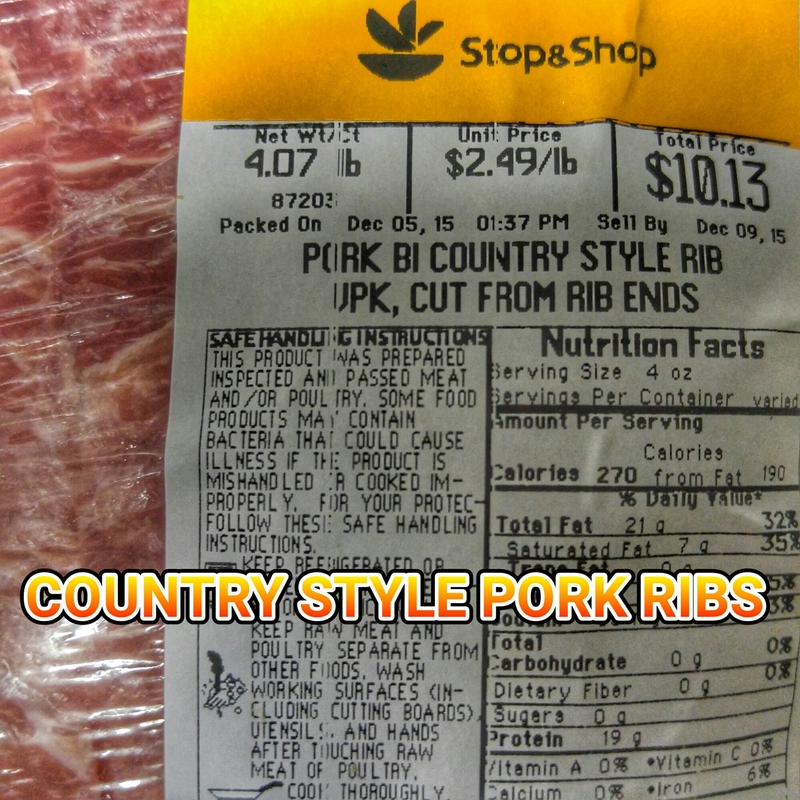 Country style boneless pork ribs hit the kettle. 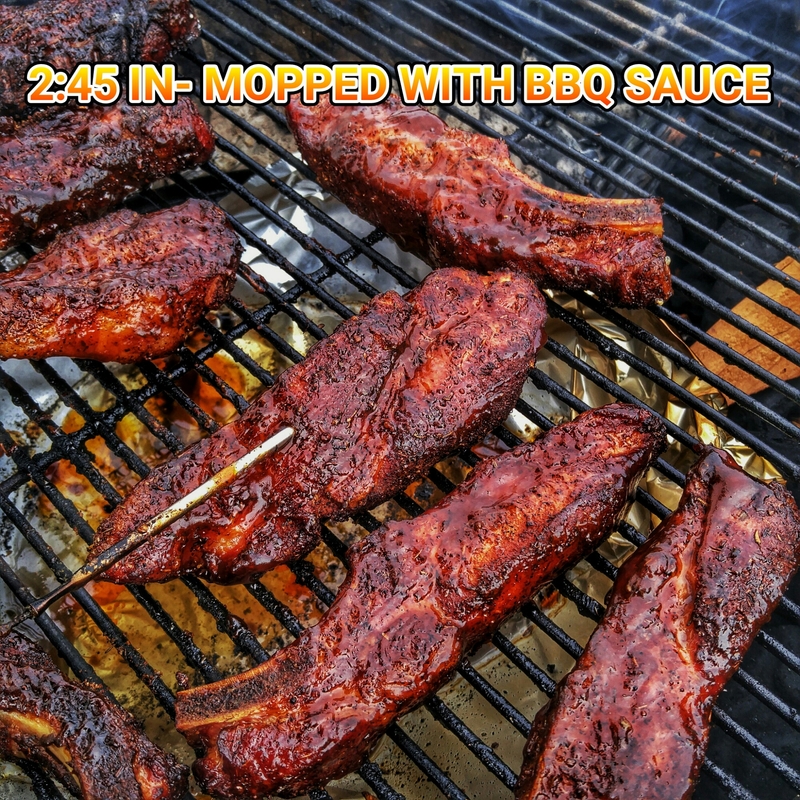 I used hickory chunks and cherry chips, charcoal set up- snake method and tossed the water pan from the Western Mountain Smoker to keep the ribs from getting dried out. Once they hit 150 internal I pulled them off, cut them up into cubes and reapplied the rub. Melted a stick of butter and mixed it with Texas Pete hot sauce and coated them before I reapplied the rub. Basted with bbq sauce and put into tin tray to cover with bbq sauce and let the sauce set a little. Loin pulled and wrapped in foil when it hits 120 degrees internal 2 hours and 38 minutes at 250 degrees on the smoker. It was a 5.5 lb loin. 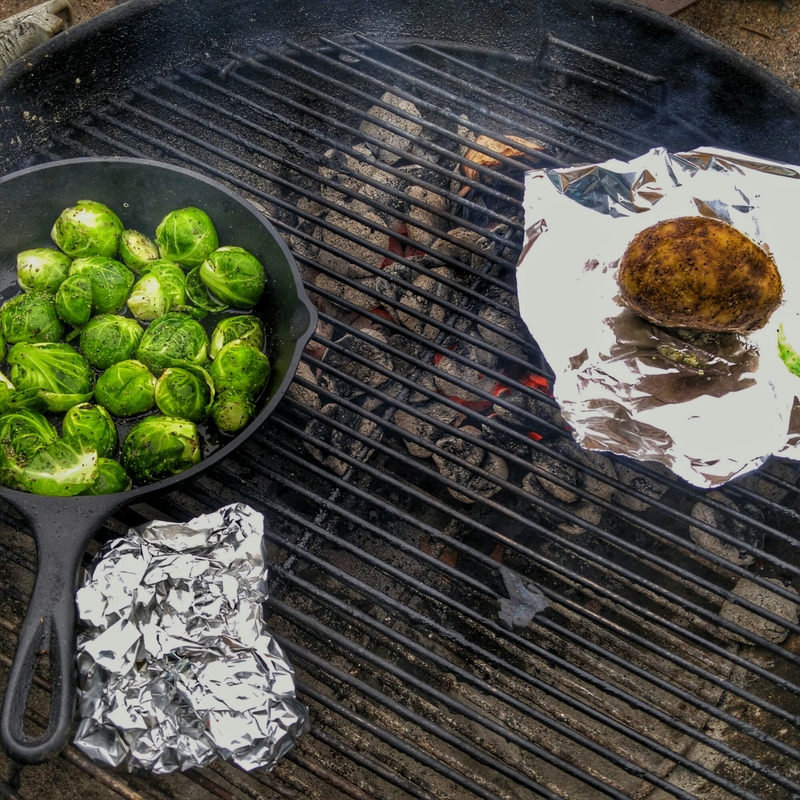 After The Sear Place Offset The Coals To Wait Til It Hits 125 Degrees. 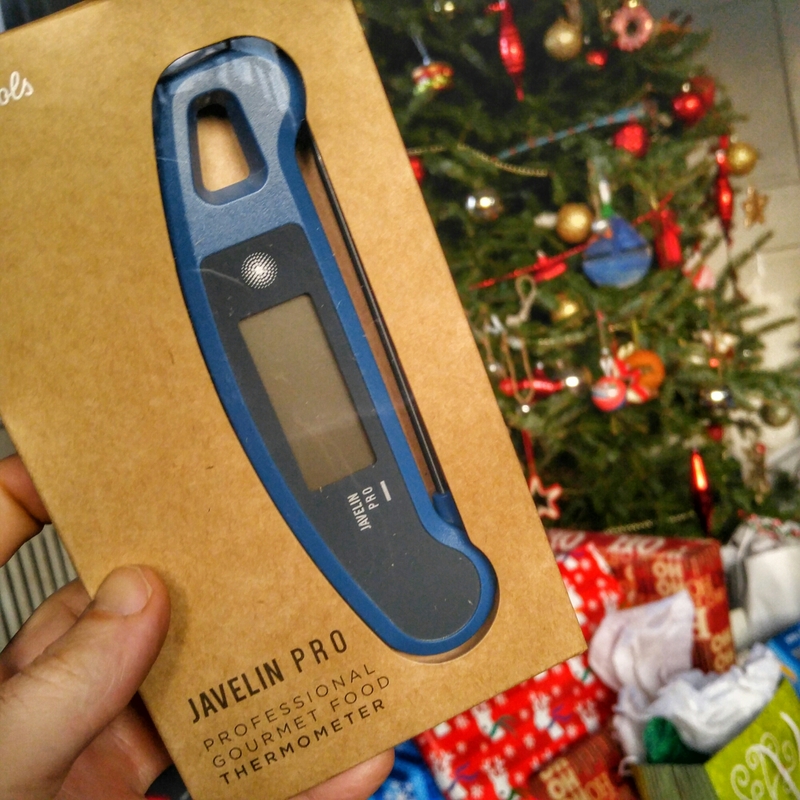 A new Crimson Original Kettle Premium and A Javelin Pro Professional Gourmet Instant Read Thermometer! 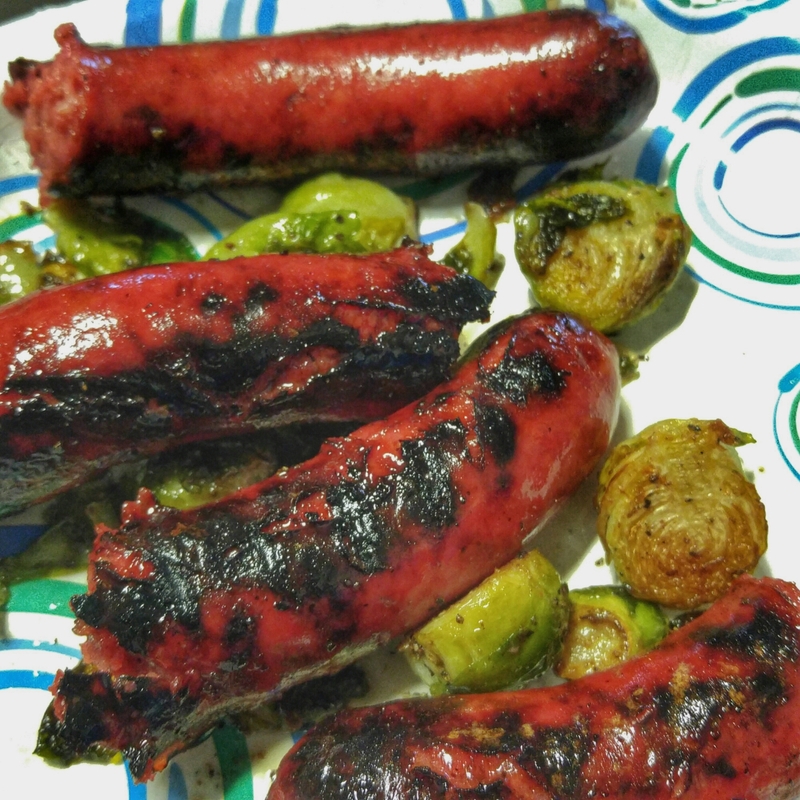 Smoked at 225 degrees (smoker grate temp) to internal 120 degrees and then seared over the coals to 125 internal. Slathered with EVOO, then a coating of coarse salt and black pepper and then a second coat of Montreal steak seasoning. 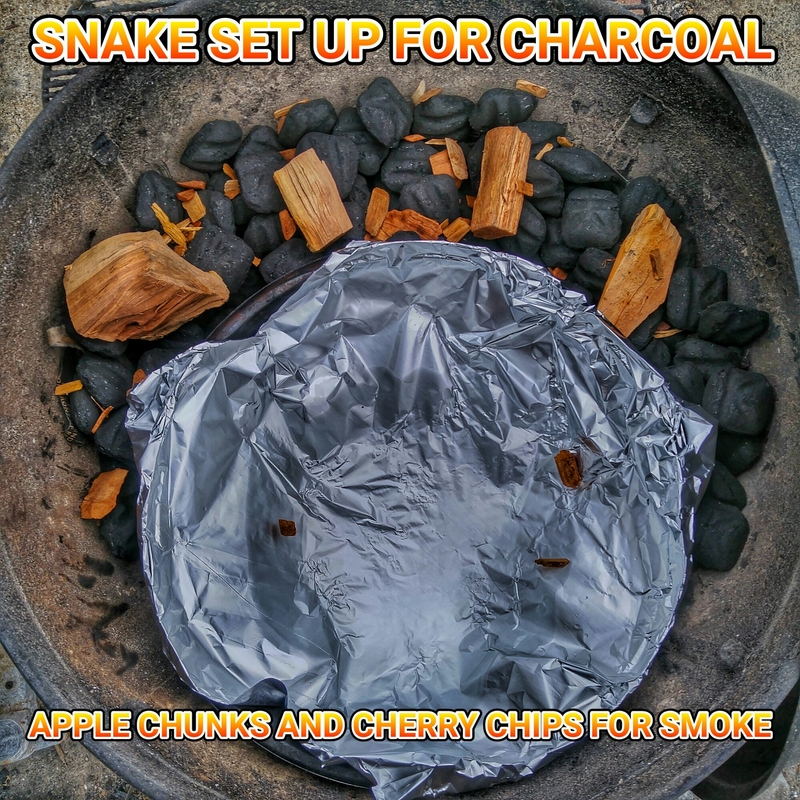 Apple chunk and cherry wood chips for smoke, meat placed opposite coals. Once the ribeye hit 115 internal pulled it and bunched up the coals and opened all the vent to get them glowing orange. Seared over hot coals brought internal temp to 125 and then pulled them to rest for 10 minutes. 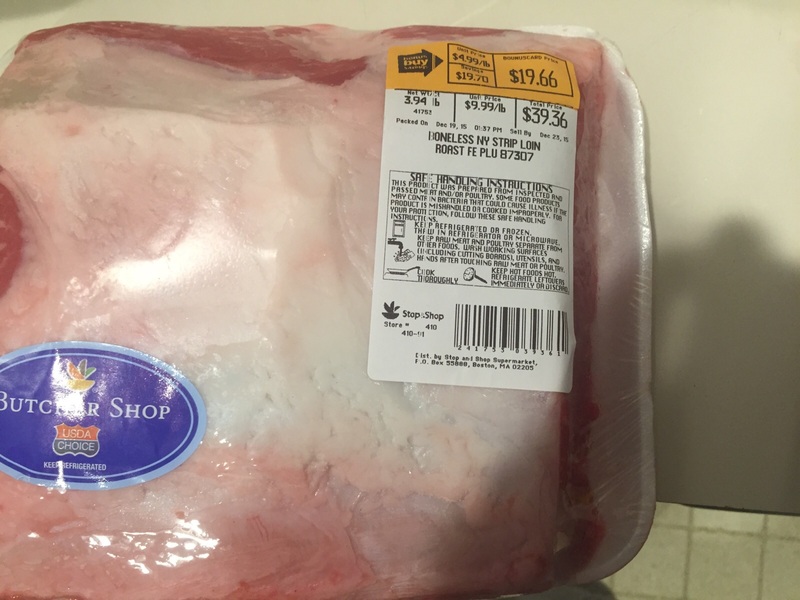 Bust the Loin Roast out of the package and prepare the rub. 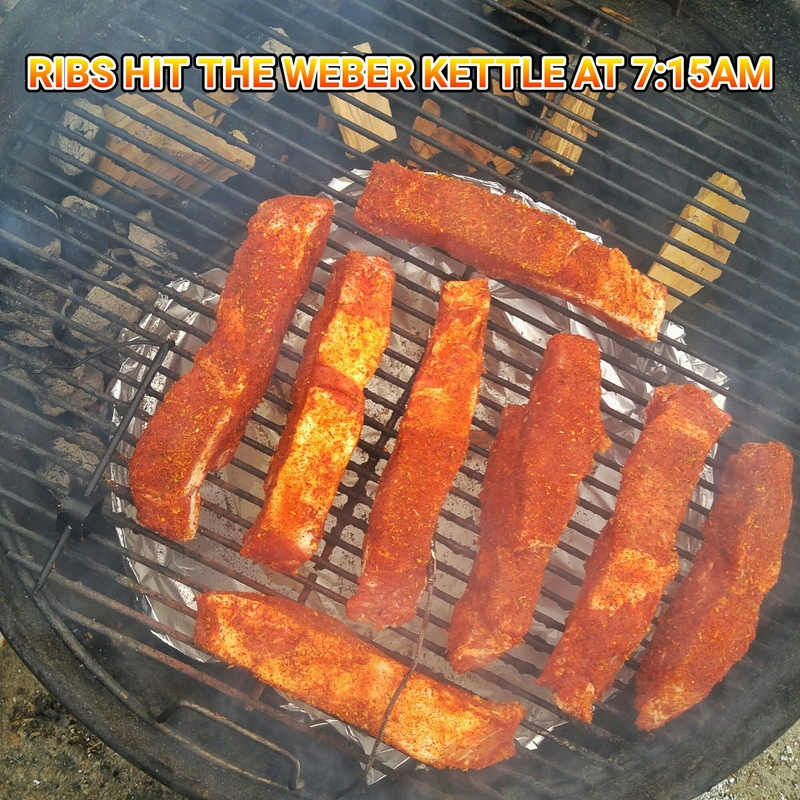 Cut a criss-cross pattern in the fat cap to get the rub to penetrate in there and create a nice flavorful bark on top. 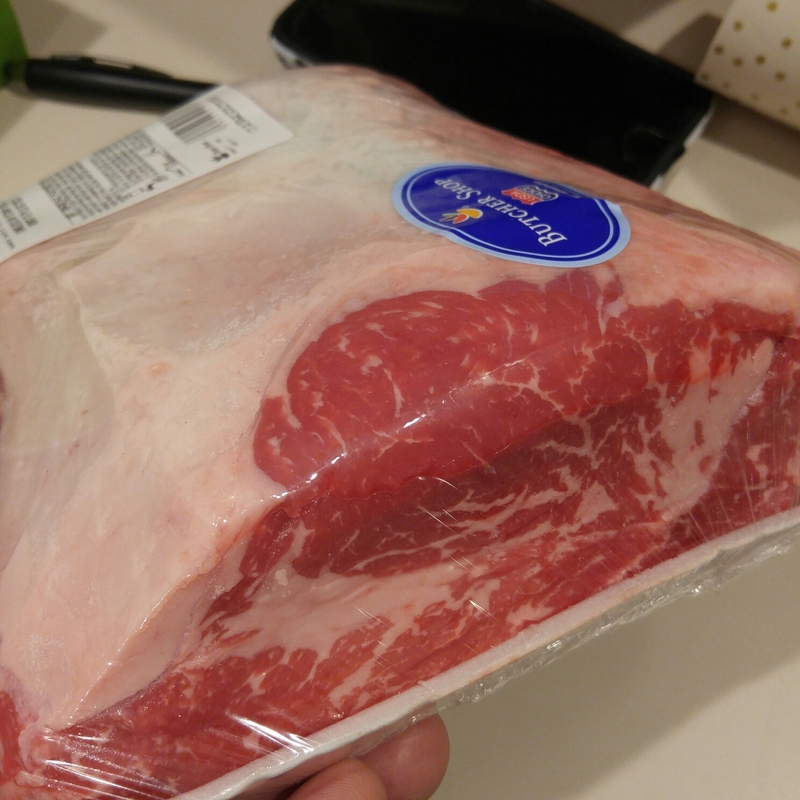 When I selected this particular NY Strip Loin Roast I looked for the one that had the most fat throughout as this fat will render fantastic flavor through the slow smoking process when it renders down. 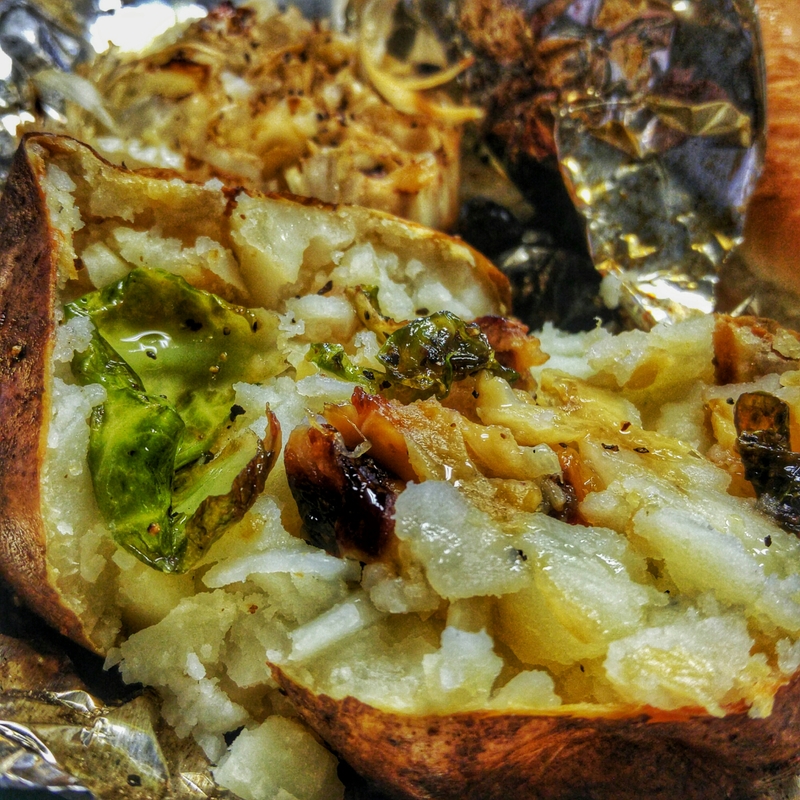 Start out by slathering on a coating of EVOO and coating it with coarse salt and black pepper. The next layer of flavor will be a coating of Montreal steak and chop seasoning. We’ll let her sit for an hour or so while we build our smoke using the minion method in the Weber Smokey Mountain Smoker. Set up the charcoal basket with a ring of briquettes and an empty center. Two pieces of apple wood from Russell orchards and a sprinkling of Cherry wood chips. 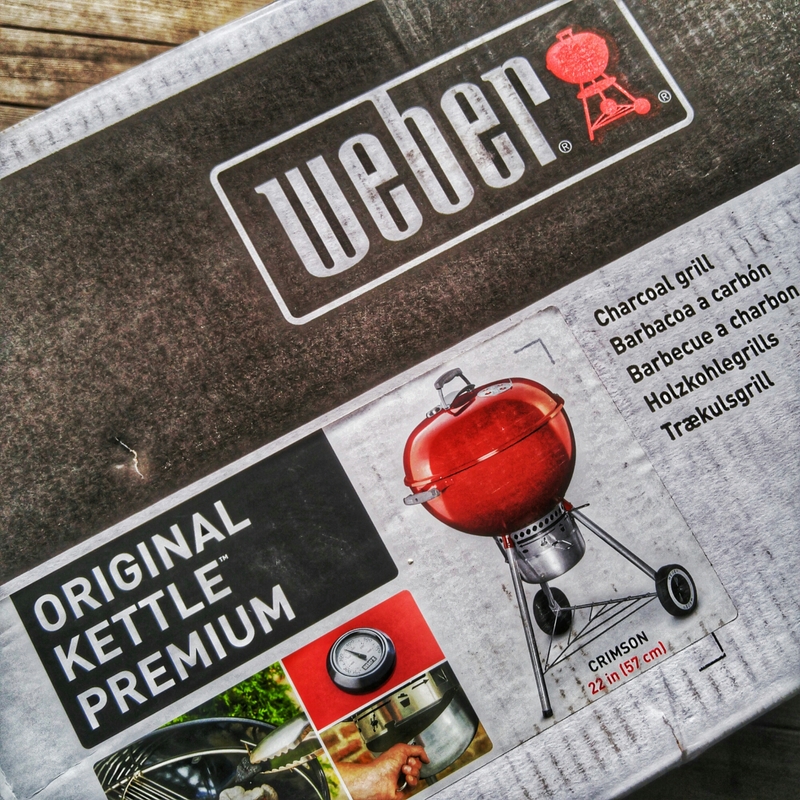 Prepping the smoker with the @webergrills Charcoal chimney inverted and 12 briquettes inside. Placed a upside down espressos can in top of the Smokey Joe then placed a Weber lighter cube on top of that. Don’t want this mornings smoke session to go to hot so we will dump the 12 lit briquettes in the center of the minion method set up of unlit coals in the bottom of our Weber Smokey Mountain Smoker. Once the coals in the chimney are glowing red and the ones on the top are ashed over they are dumped into the center of the charcoal basket in the bottom of the Weber smokey Mountain. Looking to build the temp gradually to 250 degrees for the duration of the smoke. Now we wait for the temps to climb. When the smoker temp reaches 225 I’ll close one or two of the bottom vents and try to get it to settle in at 250. I find if you let it rip and don’t adjust your vents before you hit your target temp the heat can get away from you and it’s easier to get in front of it and slow it down rather than knock it down and have to fiddle with it a whole lot more. Hits 120 internal and I pull it off and double wrap it in foil for an hour to bring it to a final temp of 125 for a nice rare condition. So when I unwrapped it and took an internal temp it only read 110 and didn’t seem done. So I fired up the kettle and put 3/4 chimney of briquettes into the charcoal baskets. So I took it off and wrapped it again once the temps got to 122. After a half hour wrapped cut into it and I can’t explain how tender and delicious it is. I will never pass this cut of beef up again when it’s on sale at that price. And thanks to Bill O’Connor from North Shore Kid who called to let me know about the sale at Stop and Shop East Gloucester yesterday. Pulled all but three ribs off when they hit 150 degrees internal temp. Wrapped those three ribs in foil and let them on for an additional hour. The ribs when unwrapped were wet from the moisture contained so I tossed them over the coals and flipped a couple of times to firm up the bark. 5:10AM Set Up Smoker using minion method. 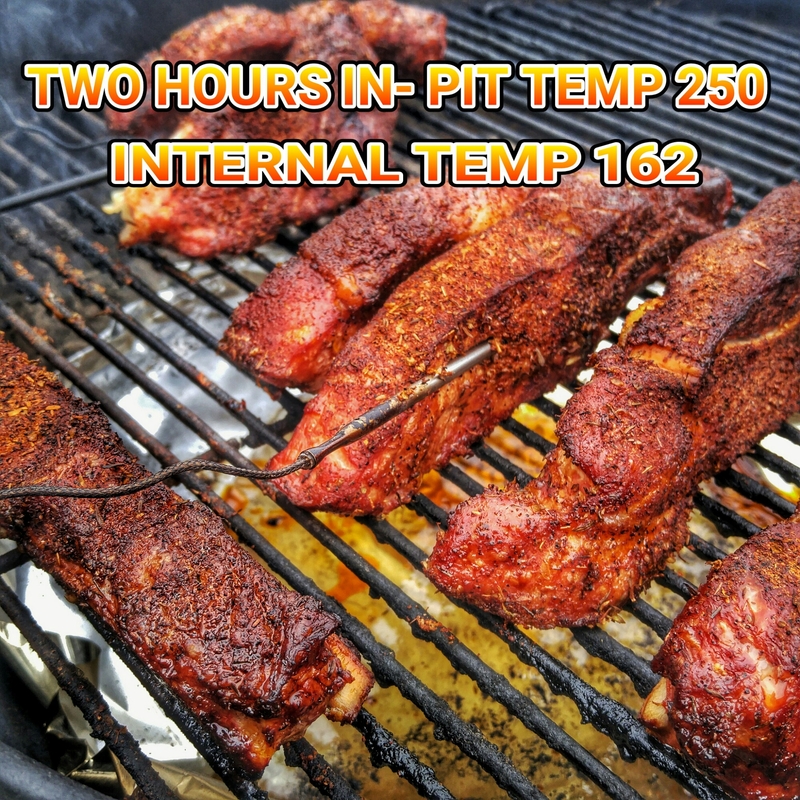 Looking to get a controlled temp around 275. Using Kingsford Briquettes, Apple Chunks from Russell Orchards in Ipswich MA and Cherry wood chips for smoke. Lightly slathered ribs with Texas Pete Hot Sauce and used Paul Prudhomme Blackened Rub. Once pit temps hit 180 degrees closed two out of the three bottom vents and left one wide open. After climbing to 200 degrees closed bottom vent a third of the way looking to not let the pit get too stoked and fight temps on the high side throughout the smoke. Aiming for 275 degrees. 7:15AM Update Looking Good Pit Temp 250 Opened second bottom vent halfway to get pit temps up just a bit. Developing some nice color on the ribs. Nice Bark Forming On The Beef Ribs.